Many various interesting sports events regularly held in Vyborg. 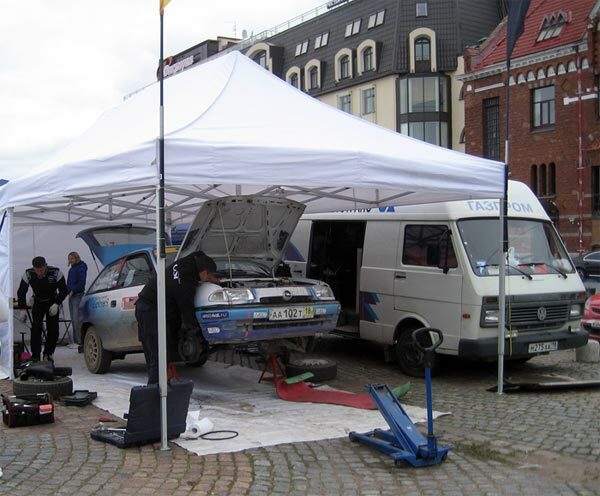 This picture was taken in the service park of rally Vyborg 2012. Unfortunately author did not succeed to get to start and finish of the rally. For example: the first Russian Formula 1 driver, Vitaly Petrov was born and began engages in sports in Vyborg.